Our technicians and water removal specialists are on call 24 hours a day, 7 days a week, in case emergency flooding occurs in your home. Flooding has no timetable: Even if you don’t live in an area that has natural disasters such as tropical storms, we all have water constantly running through our homes and businesses. If you are unlucky enough to experience flooding from a burst pipe or an issue as a result of poor drainage, chances are that the flood won’t occur during standard business hours. 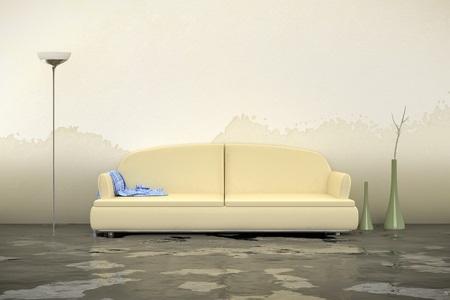 Water damage is serious: it just takes a few minutes for the water that enters your home to saturate everything in its path, absorb itself into walls, floors, upholstery and other belongings. Fabricated items, such as your furniture, often get wrecked. Things that are painted often bleed when they get wet, causing permanent damage to carpeting and walls. Small items such as photographs, paperwork, books, and other paper items get ruined in an instant. After a few hours of flooding, your drywall will begin to break down, furniture will swell and crack, and metal surfaces will tarnish. Not to mention, you’ll notice a musty odor in your home. After the 48-hour threshold, mold and mildew will begin to grow and spread, doors and window frames will warp, wood flooring will swell and warp, and water contamination with sewage is a serious concern. Water inside of your home can’t wait. We offer our 24/7 water removal service here at Rapid Response Restoration. No matter what time of day your flood occurs, our dedicated specialists can be on the scene shortly after, removing the water and preventing further damage to your property. Rapid Response Restoration has technicians on call who are ready to help. We offer emergency water removal services in the Phoenix, AZ area, and with our outstanding response time, we’ll get to your home or business as soon as possible to help you in your time of need.